Positive momentum was sustained on the trading floor of the Nigerian Stock Exchange (NSE) on Thursday with the All-Share Index (ASI) rising by 0.80 percent to settle at 33,246.91 points, crossing the 33,000 mark again after falling below some days ago. Investor sentiment as reflected by market breadth closed positive with 33 stocks appreciating against 19 equities that depreciated. Financial stocks was investors delight at the market today with UBA accounting for 114.5 million units sold for N1.03 billion. It was closely followed by GTBank, which traded 24 million shares valued at N871.5 million, while Niger Insurance exchanged 18 million shares worth N9 million. Also, Zenith Bank transacted 17.4 million shares valued at N382.9 million, and Access bank traded 16.5 million units at N161.5 million. 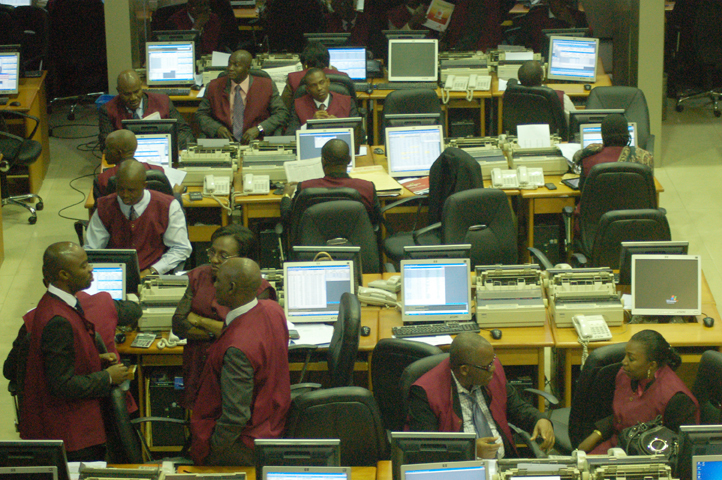 In all, investors exchanged a total of 289 million shares valued at N3.8 billion executed in 3,631 deals. Business Post reports that at the close of activities on the floor of the NSE today, the market capitalisation increased by N91 billion to settle at N11.5 trillion, while the YTD gain expanded to 23.71 percent. Mobil led the gainers’ log on Thursday after improving by N22.45k to close at N259 per share and Seplat gained N5 to end at N475 per share. Forte Oil increased by N3.50k to finish at N53.50k per share, Guinness rose by N3 to settle at N63 per share, and Lafarge went up by N2.1k to close at N52 per share. On the flip side, Nigerian Breweries lost N1.47k to finish at N153.70k per share, while UACN sank by 42k to close at N16.58k per share. NCR depreciated by 38k to settle at N7.33k per share, Champion Breweries fell by 18k to finish at N2.39k per share, and BOC Gases declined by 16k to close at N3.14k per share.